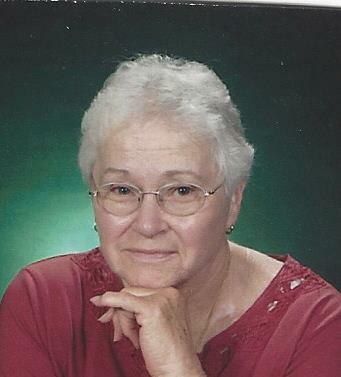 Nancy L. Cunningham (Purtiman) passed away peacefully on Saturday, February 2, 2019 at the age of 82 with her children by her side. She was born in Holloway, OH on May 6, 1936 and her upbringing in that small, tight-knit community forged many lifelong friendships and created the values that Nancy carried throughout her life. She graduated from Holloway High School as valedictorian, class of 1954. After graduation, Nancy took the big leap and moved to Akron, where she began her employment with Goodyear. During her 30-year tenure in the keypunch division, she formed more friendships that would last for the duration of her lifetime. She retired in 1985. Nancy had many hobbies including reading, crocheting, baking and cooking. She was also an avid gardener and took great pride in her flowers. She loved watching birds and always made sure to keep her feeders full. She especially enjoyed attracting hummingbirds. Nancy loved animals, especially cats, a trait she passed on to her children. She was a diehard fan of both the Cleveland Indians and Cleveland Cavaliers. She was an active member of Family of Faith United Methodist Church (formerly Church of the Master UM) where she put in many volunteer hours heading up the free lunch program for over 25 years. Nancy was preceded in death by her husband of 35 years, Robert L.; parents, James E. and Mary Iva (Cash) Purtiman; brother, James (Helen) Purtiman; and nephew, James A. Purtiman. She will be sadly missed by her children, James (Teena Panar) Cunningham, Maribeth (Mike) Kalbach and Annie (James Surma) Cunningham; brother, Raymond (Ellen) Purtiman; step-children, Carol (Dan) Tkach, Bob (Tammy) Cunningham, Jr. and Karen (Bill) Johnson; grandchildren, Ivy Kalbach, Krystle (Steve) Heimberger, Fred Winther, Kyle (Magan) Cunningham, Michelle (Jeremy) Foushee and Jacqueline Johnson; 8 great-grandchildren with 2 more on the way; and a host of other family and friends. Nancy also leaves her beloved dog, Sinji. Calling hours will be on Wednesday, February 6, 2019 from 4 - 8 p.m. at the Eckard Baldwin Funeral Home and Chapel, 760 E. Market St. Additional visitation will be at Family of Faith United Methodist Church, 800 E. Market St. on Thursday, February 7 from 11 am - 12 noon, immediately followed by the funeral service at 12 noon, with Rev. Ron Shultz officiating. Interment at Greenlawn Memorial Park followed by a luncheon at church. The family would like to thank the kind and caring staff at Altercare Western Reserve and the teams of 3 East and 3 West at Summa Akron City Hospital for providing such exceptional comfort and care during Nancy's final days. Since her hometown of Holloway and the church were always a major influence in Nancy's life, the family is requesting that in lieu of flowers, donations be made in her memory to Holloway United Methodist Church, P.O. Box 173, Holloway, OH 43985 to help sustain the beautiful historic building, which has been in continuous use since 1906.